Recycling News - Miss Wilcox’s Employability Class has begun recycling at the High School and there are always classes that take on this responsibility at each school building. 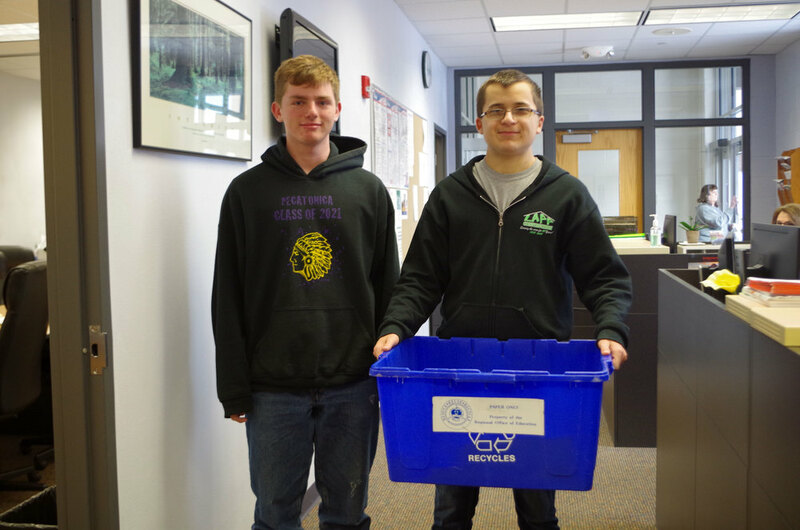 Students collect Recycling Bins and sort through cardboard, paper, “RINSED” can and food containers, and plastic. It is understood at all buildings and workplaces that food and beverages, trash, and/or tissues are not acceptable items to be thrown in the Recycle Bins. Thank you!